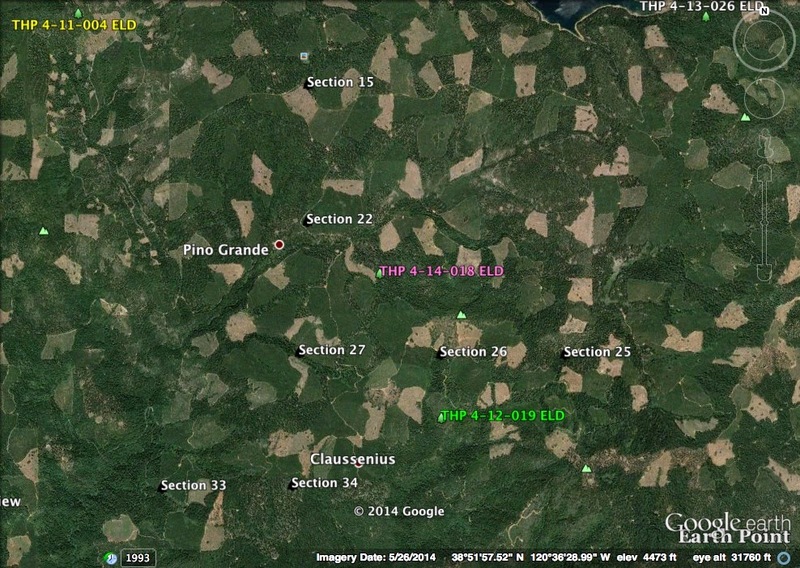 THPBlog: Sierra Pacific Industries planning a new THP in the King Fire area. Sierra Pacific Industries planning a new THP in the King Fire area. This THP is about 8 miles north of Pollock Pines and Highway 50, and within a few miles of Stumpy Meadows Reservoir which supplies drinking water to the town of Georgetown. It is within the area that the recent King Fire burned through, so it is likely there will be additional salvage logging in the area. Sierra Pacific Industries is planning a tractor based logging operation in sugar pine, white pine, Douglas fir and ponderosa pine forests at an elevation of 3,000 to 5,000 feet. Temporary roads are proposed for use and construction during the winter period, and there are 6 CA spotted owl territories within 1.3 mi. More information is available on the THP Tracking Center website.